How does Eurozone CPIs impact EURUSD? When are the Eurozone flash CPIs and how could they affect the EURUSD pair? March 1, GKFX – Eurostat will publish the first estimate of Eurozone inflation figures for February at 10:00 GMT today. The headline CPI is anticipated to accelerate slightly to 1.5% y/y rate vs. 1.4% previous while the core inflation is seen holding steady at 1.1% y/y rate during the reported month. Readers can find FX Street's proprietary deviation impact map of the event below. 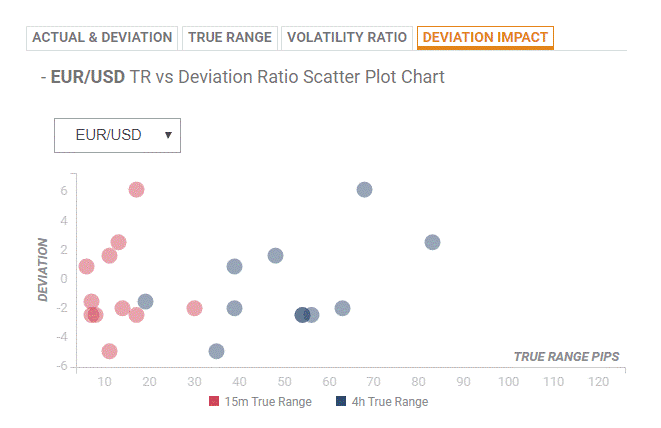 As observed the reaction is likely to remain confined between 10 and 30 pips in deviations up to 1.5 to -2, although in some cases, if notable enough, a deviation can fuel movements of up to 45-50 pips. How Eurozone flash CPIs impact EURUSD? “On the flip side, 38.2% Fibonacci retracement level of the 1.1514-1.1234 recent downfall, around the 1.1340 region, might act as immediate support, which if broken decisively might accelerate the slide further towards the 1.1300 handle, coinciding with 23.6% Fibonacci retracement level,” Haresh adds further.